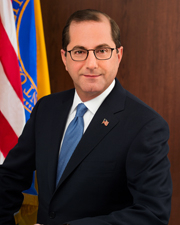 AHCA/NCAL is excited to announce that Alex M. Azar II, Secretary of Health and Human Services, will be among the speakers at Congressional Briefing. Azar has spent his career working in both the public and private sectors, as an attorney and in senior leadership roles focused on advancing health care reform, research, and innovation. He has worked on issues such as emergency preparedness as well as helping oversee the roll-out of the Medicare Part D prescription drug program. He is scheduled to appear on Tuesday morning, June 5. Spring is a very busy time in Washington, D.C. We highly recommend that you register and make your accommodation plans as soon as possible. The Hyatt Regency Washington has already sold out. We have just added the Washington Court Hotel at 525 New Jersey Avenue, NW in Washington, D.C. Enjoy a special discounted rate of $329 single/double plus 14.8% occupancy tax when you reference American Health Care Association. Book now and save. The hotel deadline is May 3, 2018. Congressional Briefing offers you a unique opportunity to speak face-to-face with your Members of Congress, discuss the most pressing issues of the day, and ask for what you need to provide the very best care in your centers. Contact your state association to set up your Hill visits for the afternoon of June 5. Please let us know of your schedule of meetings. We will have materials ready for your visit and have an AHCA lobbyist attend with you if needed. If your state association is unable to help you, email us at congressionalbriefing@ahca.org, and we can assist you to set up meetings with your Members of Congress. See the complete agenda to get more information about everything that’s happening. Registration for this event is exclusively for long term and post-acute care provider members of AHCA/NCAL and AHCA/NCAL Associate Business Members only. AHCA/NCAL reserves the right to grant final approval for all registrants to attend this conference. The conference registration fee is complimentary to AHCA/NCAL Members and AHCA/NCAL Associate Business Members, and their spouses, and is accepted on a first-come basis.